Eddie Cheung Siu Fai, Fama, Michelle Wai Sze Nga, Tats Lau Yi Tat, Chin Siu Ho, Chan Ka Kai, Barbie Liu (Ha Wai Yu) and new comer Lo Ho Yu two days ago attended the film SIU LUM JI (LAUGHTER FOREST TEMPLE)'s production start ceremony. Guest star Brother Fai said that this time he would play a cop yet again. Before the shoot he asked the director whether he would play a funny cop or an actual cop. 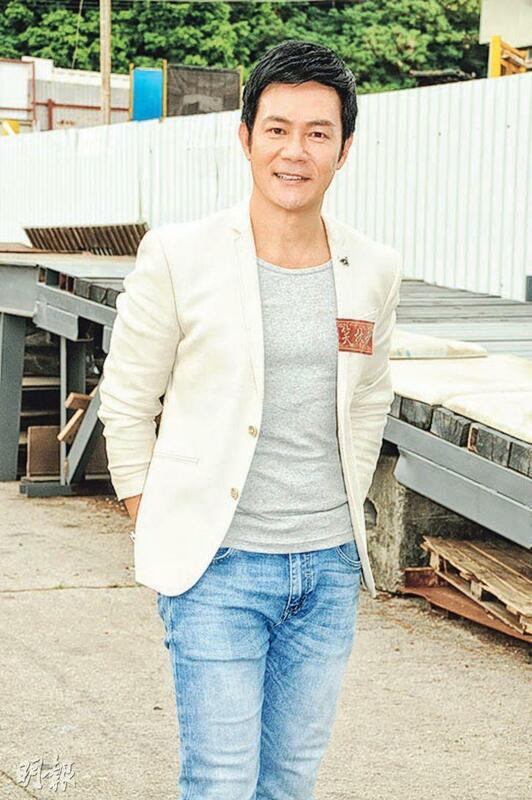 The director said that he would not need to be funny because the cast also had Fama and Lau Yi Tat. Earlier he shot scenes with Lau Yi Tat. Did he have a tough time with holding back his laughter? He said, "No, in that scene we had very normal dialogue, but maybe because of that it would turn out to be funny." Fama revealed that they had their best pay day in their film history with this film. They said, "Because our film salary has always been too low, when someone pays this salary it proves that we are worth this price. We seem to have improved, a long time ago we paid to make a movie. (Back then were you fighting for fame and was willing to even pay to make a movie?) It was for interest and for art." In the film they would play Lau Yi Tat's disciples. They said that the collaboration has been very pleasant. Were they able to follow Brother Tat's lines? They joked, "Of course not, because even he couldn't follow his own lines." Wai Sze Nga said that she was scared all night after learning that she would have scenes with Fama. Originally they had scenes to shoot two days ago, but the script was changed last minute. She admitted that she was afraid that she would not be able to keep from laughing. "They think too fast on their feet, so I am afraid that I won't be able to follow. Normally at events when I see them I would have to avoid them, because they always verbally prank me. I really am no match for them, as I am both afraid and anxious about Fama." She also revealed that in the film she would play a couple with Lok Wing but they would not have any kiss scene. She would also have a very sharp look that would be very grotesque, full of zits, freckles, buckteeth, and glasses. Fama said that she looked better than normal. She was very excited after the costume fitting and she would not mind playing ugly.